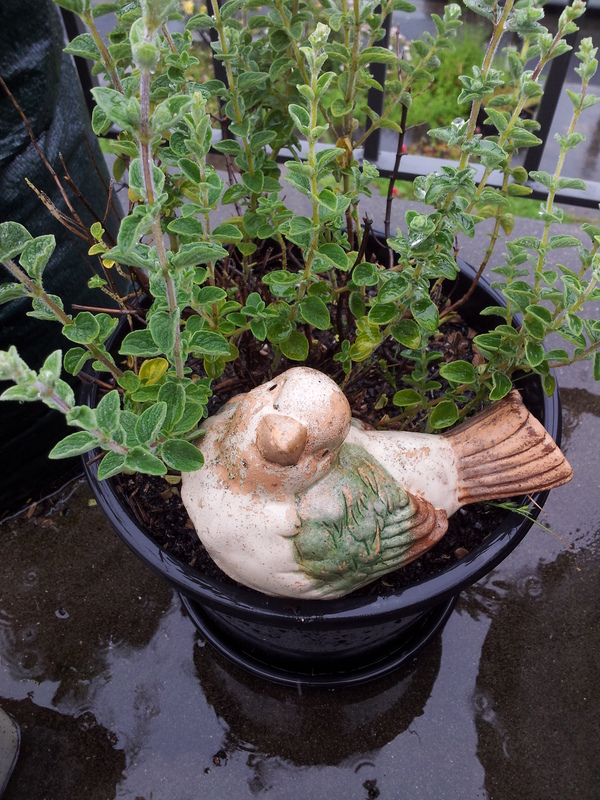 It’s raining – again or still – my brain is suffering from rising damp I think. The chickens are lurking under their shade table or in their coop to dry and keep dry and tempers are short in my little bunny kingdom. Meanwhile, I still have no solid internet connection but I’ve still managed to keep NaBloPoMo going – haven’t missed a day so far! And I’ve just uploaded my final assignment to a Preparation for University Study course through Open University Australia. I’ve been really surprised and heartened by my results – but the real fun starts later this month when I begin my first proper online unit through Griffith University in Queensland. In the greenhouse, I’ve been incredibly pleased with how everything’s still growing despite the ridiculous weather we’re having here in Tasmania. I planted Basil seed some time ago and pricked out seedlings into egg cartons to grow them on quickly and give me a chance to pot them up without any further disturbance of their roots. 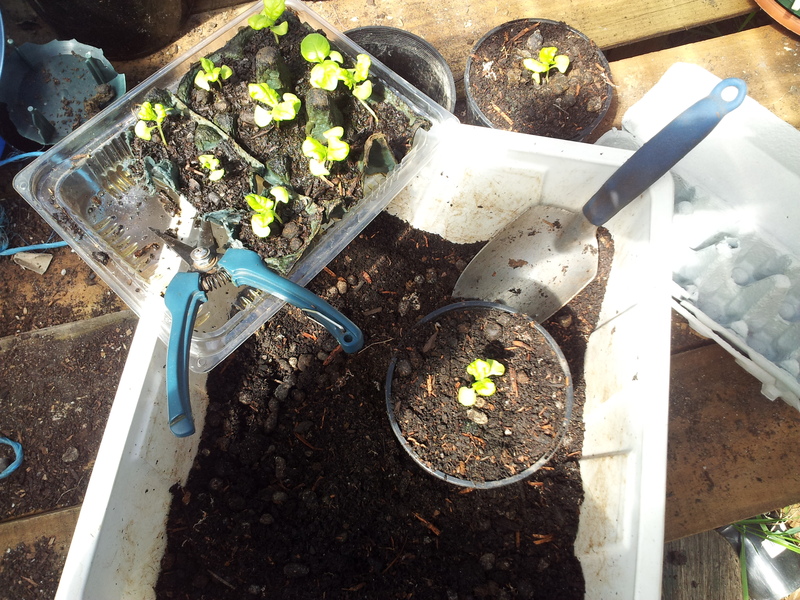 It’s a neat method and I find it gives seedlings a better start. 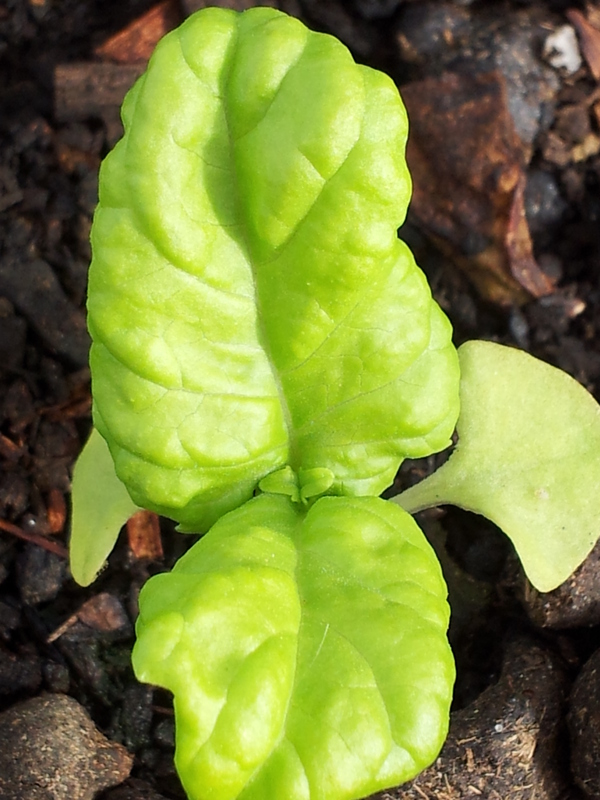 As you can see from the picture below, the Lettuce Leaf Basil has certainly taken off well! 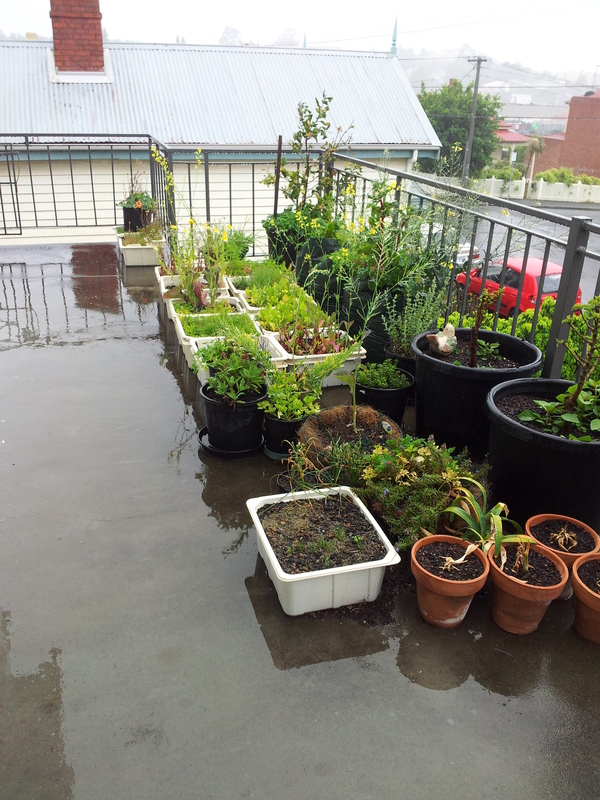 But sadly, the front balcony, which serves as my winter salad garden, is suffering badly from the wet weather. I think the only plants that are thriving are the watercress – funny that! Hopefully, we’ll get some more seasonal warm (and dry!) weather soon, so I’ll be able to collect the seed for next year’s crops. Previous Tacloban, destroyed by Typhoon Haiyan, has become a ‘no man’s land’ | Herald Sun Next Another Bunny Hop Backwards or How I Became Zorg For a Day!